William Wallace has a few words to say about the new Tintin flick and his trousers. 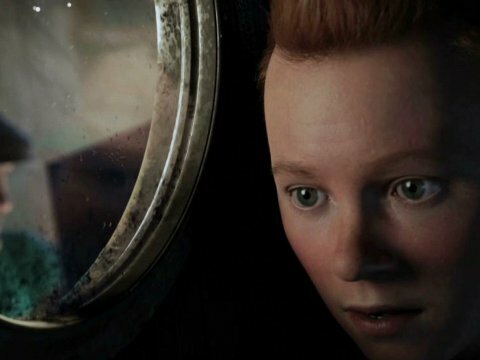 For a lifelong and vaguely fanatical fan of the Adventures of Tintin, I was besidemyself with joy when I stumbled across the news that a live-action Tintin film (possibly three!) was in the making. For months I waited, reading interviews and being utterly frustrated by the flitting trailers that were released, until the film finally hit theatres. WARNING: Spoilers be ahead for those who have not read The Crab With the Golden Claws and The Secret of the Unicorn. Those who know me know that I am brutal when it comes to assessing film adaptations of books and I will confess to being worried about how the film would carry off a meshing of two very strong, and well known, stories: The Crab With the Golden Claws and The Secret of the Unicorn. On consideration the film managed to combine the plots quite well, creating a believable and entertaining narrative but I feel that it did lose some of the charm of the original books. For example, most, if not all, of the actual plot of Golden Claws was left out in favour of those bits of expository that introduced Captain Haddock and that could be adapted to the needs of the Unicorn’s plot, denying the audience an excellent story. Also, the replacement of the Bird Brothers with Ivan Sakharine as villain worked well enough but was let down in a big way by Barnaby’s shooting; in the book, Barnaby points to sparrows before blacking out as a clue against the Bird Brothers. In the film Barnaby spells out “Karaboudjan” on his newspaper before expiring in a scene that is later rendered useless (and quite peculiar) when Tintin is kidnapped and put aboard the Karaboudjan. Perhaps, instead of making a one-line quip near the end about Barnaby being an FBI agent, the writers could have amalgamated his character with the Golden Claws’ Bunji Kuraki. Either that or still have him indicate the sparrows as he died to give Tintin a really cryptic clue. Given the strong artistic and literary character of the Tintin series I was a little surprised by the title sequence. Given that it took until 1974 for Tintin to discover boot-cut trousers (rather than his usual plus-fours, a style that even my Grandfather thought was uncool) it was a bit odd for the opening sequence to be based on a 1960s/Pink Panther style sequence. But in saying that it is important to remember that odd is not the same thing as bad! 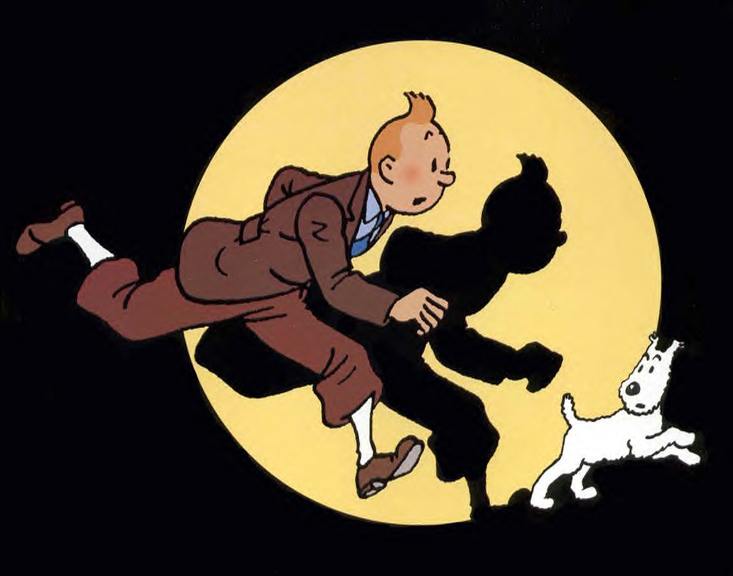 The animation was by and far the most amazing part of the film (including in the opening sequence), able to give the characters very human appearance whilst retaining the distinctive Hergé caricature. I remember being blown away by the use of digital technology in Sin City but that film has nothing on Tintin; the scene transitions alone in Tintin are award-worthy. I must also say that the writers showed greater appreciation of the source material than in any other (non-period) film I’ve ever seen. Even in sections newly written for the movie the humour, dialogue and actions were faithful to the books and they even remembered to include Hergé’s cameo! If this is the standard for the next movie(s), we have a lot to look forward to! Yay: A stellar cast, great animation and (of course) a fantastic story. Nay: A few plot hiccups while navigating the two stories. Final verdict: Six out of Seven Crystal Balls. This entry was posted in Comics, Film, Reviews and tagged tintin spielberg herge. Bookmark the permalink. I love how you described the Tintin movie! I watched it and had no words to describe it. I love the books and also think that they did the best job with the movie.